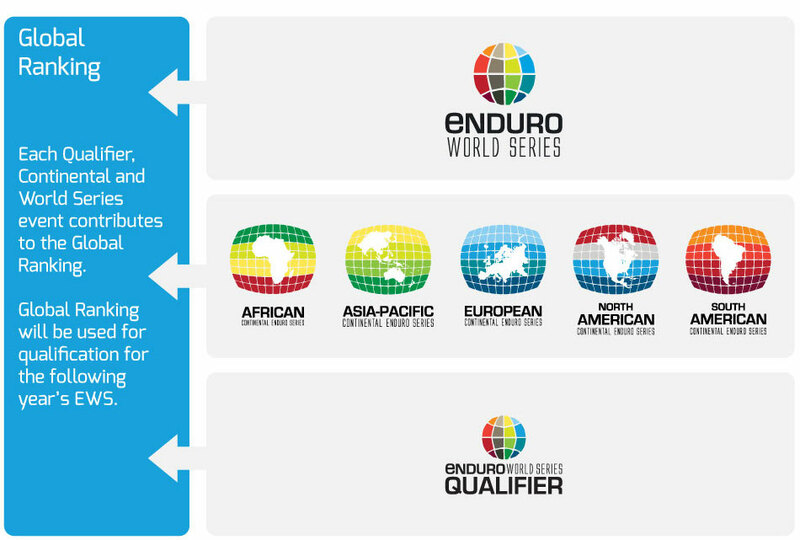 The Enduro World Series began in 2013, touring the best trails in the world, over 8 locations, culminating in the crowning of the Enduro World Series Champion. To compete at EWS riders must first pre-qualify by scoring Global Ranking Points. Riders can start at their local qualifier, travel further to a Continental event in their region, continue to test their level and develop as a rider before taking on the full challenge, an EWS. If you have not pre-qualified, you still have a chance to race an EWS weekend. Race either the full EWS course (EWS100) or 80% of the course ( EWS80 - to be offered at select venues) - with slightly relaxed rules but all the challenges. At the end of the season, amateur and pro riders are also able to compete in teams of 3 at the Trophy of Nations, a true festival of enduro MTB sport. Qualifiers, EWS100 and EWS80 recieve no titles but do score ranking points. *only EWS Members score points. What is membership?